Entry into the spacious lounge with dining area. Kitchen. w/c. 3 air conditioned bedrooms: 2 double bedrooms with en suite bathrooms, 1 twin bedroom, and a family bathroom. Secluded roof terrace with heated Jacuzzi (set at 36c) and dining area with drinks fridge. View from private roof terrace. Upon request, the owner is able to provide a billiards table and a fussball table for the cost of 20 Euro each per week. If an additional bed is required there is 1 folding bed. Kalisto Beach Villa can sleep up to 7 people. The villa was super nice, as described: right on the beach, very clean, supermarket within walking distance, the service was excellent, peace and relaxation guaranteed! Many thanks to all those responsible! Super clean, view on the sea, great! Dream House! Wonderful place to stay and really friendly. I would recommend the villa to everyone. Great service from all concerned. Fantastic villa, amazing location - we had an really lovely week. This has been our 4th booking with Agni Travel in the last couple of year, we highly reccomend you to everyone we speak to and Weâ€™re already looking forward to our next booking in May! Beautiful villa. A beautiful villa lots of space and added bonus of hot tub on roof. And great sea views a very quiet area and you definitely need a car. Only went in pool once as was too cold even though the weather was 30c most days in October. Owner was lovely and nothing was too much trouble. A nice added extra was a few basics to get us started i.e., milk,tea etc. We had a great stay but for us it was too far to paphos about an hour drive. But that is not the villa fault. Beautiful villa, directly at the beach and No neighbours. Excellent for Relaxation. Agni Travel certainly have made sure their properties are first class. The location of Kalisto Villa ensures a lovely relaxing holiday well done to everyone at Agni Travel and the delightful owners of the villa who go the extra mile. Thank you. This villa exceeded our expectations the location facilities and degree of comfort are top class. We loved it. Fantastic hosts (Thanks to Andrulla and Andreas). fantastic Villa fantastic location. We could want for nothing more and are already looking to go back to Agia Marina in September. Brilliant from arrival to departure. Superb setting and accommodation. Great holiday. Super villa good pool beach at the end of the garden. Super sunsets and being lulled to sleep by the sound of the waves. Androulla was not just an exceptional cleaner but, a welcoming and kind hostess. Absolute pleasure the location is just perfect and the facilities are excellent. Would definitely come back. We had a fabulous holiday. This is the third time we have stayed in villas booked through Agni travel and the arrangements went smoothly as usual.The owner of the villa kept popping by to see if we needed anything and if all was well. He also kept bringing small gifts of fruit flowers and vegetables which was so kind and generous. 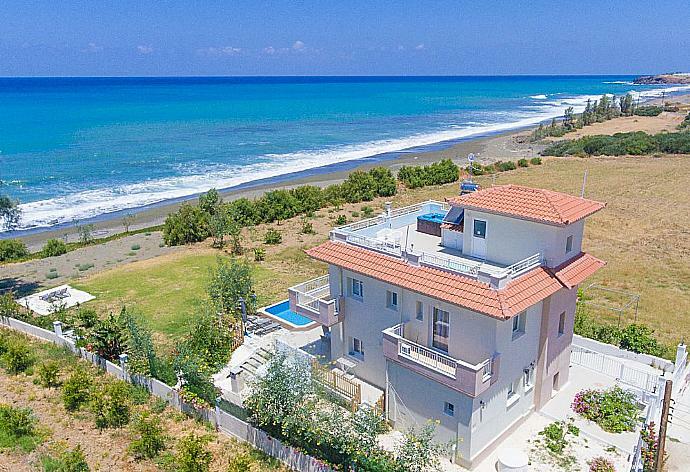 We feel that it is the best villa we have stayed in (and we have visited Cyprus regularly over the last 25 years)It was lovely to meet Andreas and Androulla and a real pleasure to stay at the villa. Truly wonderful. Villa superb, setting amazing. We had a great time in this lovely brand new property. which is exceptionally well situated directly on the beach. We appreciated the calm and comfort of the house and we enjoyed the beautiful sunsets. 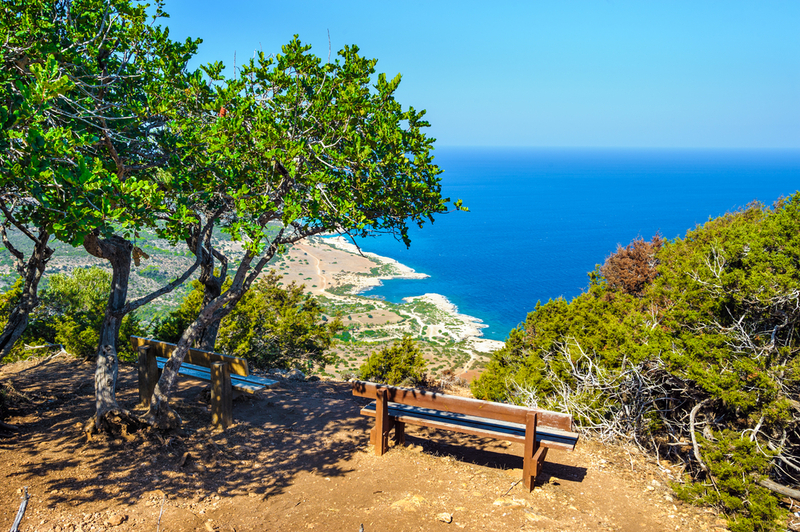 Cyprus is a wonderful country, people there are nice and welcoming. We were very pleased with the villa overall. The villa was in a wonderful spot right on the sea, so watching and listening to the sea each night was very soothing. We had a lovely holiday - the villa and the area were just what we were hoping for. The sunsets are amazing The owners were extremely hospitable kind and helpful.